Swiss artist Sandro Del-Prete is a master at painting beautifully-impossible scenes. As a young man, he attended the Florence Academy of Art. While in Florence, he began to discover and appreciate the works of Old Masters such as da Vinci, Michelangelo, and Rembrandt. Today, his works have been featured in exhibitions in Switzerland, Japan, and other countries around the world. 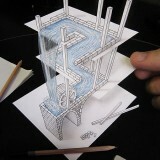 In 2008, a book titled The Master of Illusions (Sterling Publishing) was released by Del-Prete showcasing his vast and impressive artwork. 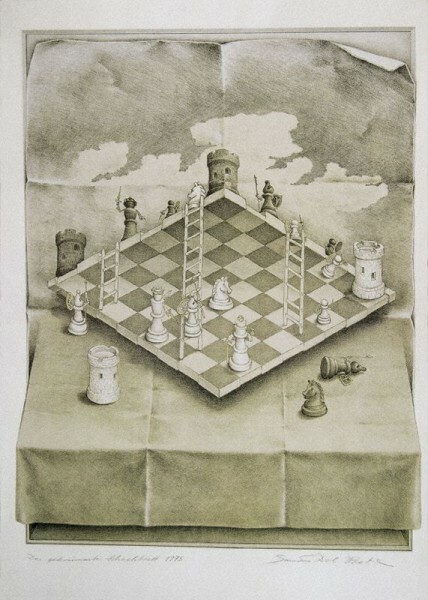 In one of his more famous creations below, titled The Warped Chessboard, perspective is severely challenge. Some of the pieces are looking down and some are looking up even though they appear to be on the same flat surface. The chess board appears to be warped in some way, but all of the lines are straight and parallel. This painting alone has inspired many other artists to explore a similar type of deception. A good example of this would be The Terrace by David Macdonald. 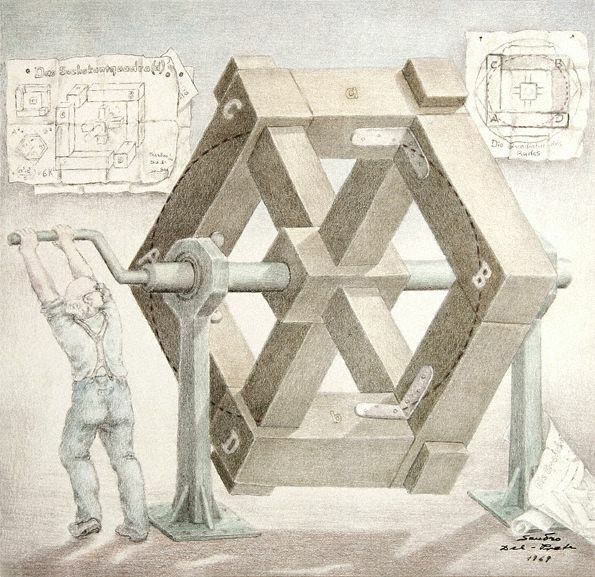 Quadrature of the Wheel features a man turning a handle and trying to spin a wheel. But something is “off” about the wheel – it’s construction does not seem possible. Is it even a wheel at all? 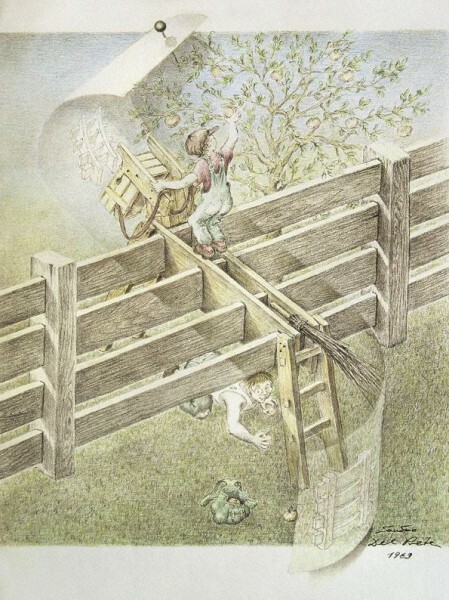 In Del-Prete’s work below, titled The Garden Fence, a wooden horse spans a vertical fence horizontally. 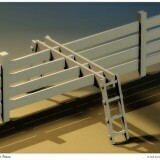 At first glance, the construction of the horse may appear entirely plausible. However, when you try to reconcile it with the way the fence should be constructed, you realize that it could not be built this way at all. 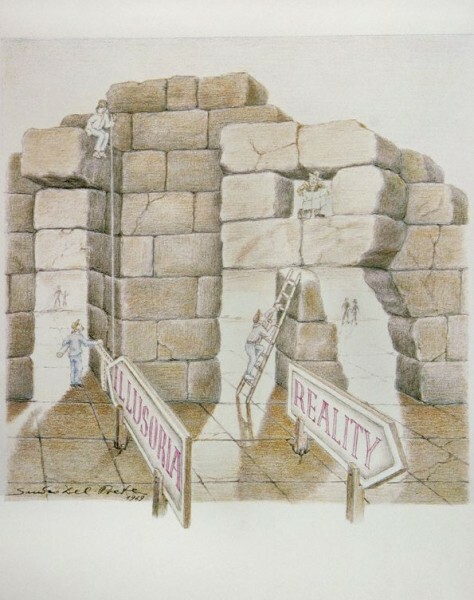 In the last example of Del-Prete’s mastery of the impossible, Between Illusoria and Reality, impossible openings are presented in the stone walls. If you were to cover up the bottom half of this painting, the top half looks completely normal. If you then cover up the top half of the painting, the bottom half looks completely normal. It is when they are presented together that they contradict one another and appear to be awkward. A special thank you goes out to Carlo Del-Prete for helping to arrange this post. 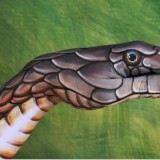 To view more artwork from the talented Sandro Del-Prete please visit his website at www.sandrodelprete.com.